Steve was helpful. I explained that I had forgotten that I signed up and that I was billed twice within a week. I decided well, the first $24.95 charge - which was attempted a couple of times until it finally billed late in the cycle - I'll eat, but the second $24.95 came a little soon thereafter on schedule but messed up my personal cash flow. Steve got me a refund of the second $24.95 charge, and offered my full access to the site for only $4.95 a month. I will review the site tools to see if it can help me truly find another better paying job. Thanks much to Steve for his help. You're very welcome! We offer plenty of learning material on the website to help you out in lots of different ways. We provide guides and tips on how to build a professional resume and cover letter. You'll also find an interview preparation tool, with sample videos and the types of questions that are typically asked, to make sure you make a lasting first impression. Plus, we have a ton of articles and reading material to help you out as best we can. If you need help in the future, please do not hesitate to contact us directly, as we'll be very happy to assist you personally with anything you need. I would love to get this review reviewed by the owner and founder of the company ! I am a subscriber who called to cancel the membership @livecareers ! The employee named as "Victor Vargas" assisted me with everything ! He literally solved all the issues i had ! Took care of all the concerns i had ! Convinced me to stay with the company ! Being a marketing manager of a company i can identify the talent of a person !! I would say victor is one of the best customer service rep. That your company can ever have ! Thanks a lot for the best service ! We're so happy to hear that you decided to keep our services, we are committed to providing excellent service and it’s great to hear that Victor delivered our promise to you. If you need further help, let us know! We called to cancel an account that was cancelled 9 months ago with a documented email and they did not refund the money. I am opening a dispute with my credit card company. 2 days later: updated to 2 stars from 1 star. After my credit card company contacted them I was able to get all my money back. They sent me an email stating that they were wrong and the account should have been canceled based on my email. We sincerely apologize for this whole misunderstanding, we absolutely understand your concern. Our goal is to make sure you’re satisfied with our service. If we’ve fallen short on that for you, we deeply apologize. If you ever need help in the future, please do not hesitate to contact us directly, as we'll be very happy to assist you personally with anything you need. When I had questions about my account, Manny was on it. He resolved all of my concerns, and did so very quickly. 10/10 would reccomend. 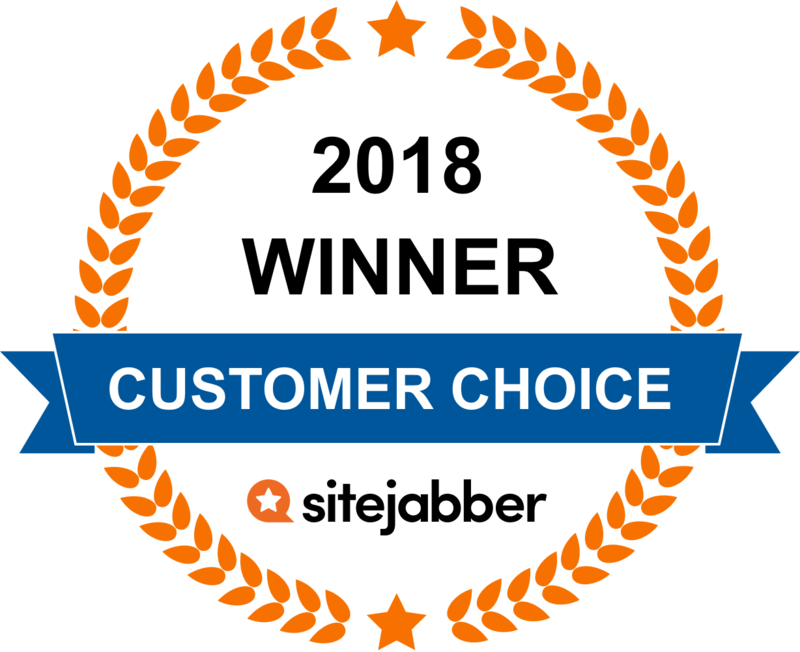 Thank you for recommending us, we always strive to make our customers happy and we take your feedback to heart. In fact, we rely on it to continually improve our customer’s experience. Really - for the money you can't go wrong. I found the online services easy to use and saved me tons of time trying to do this myself. Customer Service Representative, Elizabeth Ram was extremely friendly and helpful. I was able to get through to her right away! I would recommend LiveCareer's services to anyone wanting a professional resume and cover letter service. Thank you for sharing your experience, we’re thrilled to hear that is was easy to use and that you managed to save time by using our services. Our Customer Service Team is committed to providing excellent service and it’s great to hear that Elizabeth delivered our promise to you. If you need further help, let us know! Thank you for trusting us with your resume, we’re happy to hear that is was as easy as 1, 2, 3! It’s great to hear that you’re pleased with our services. We hope it makes all the difference in helping you get the job you desire. Customer Service Rep Romaine was amazing! He took his time and not only resolved my issue but he also make sure I was aware of benefits available for me! Thanks for sharing your experience with Romaine, it's great to hear that he took the time to resolve your issue and provided you with all of our benefits. We’ll be sure to pass along your positive feedback. If there’s anything else we can assist you with, don’t hesitate to ask! I used their website for a day to build my resume, and paid 3$ which I feel is fair. They charged me 25$ after 2 weeks which seems their policy. I spoke to their customer service and the guy was polite and promised me the money will be refunded. Which never happened, so I had to get with my bank and dispute the charge Looks like they fought back with BOA and reverted the charge. Their customer service is outsourced and the sweet words are a lie. I would suggest to be careful, they were unwilling to send any details thru email when I called them again regarding the same. We are truly sorry for any inconvenience that this may have caused and we're deeply sorry to hear that you experienced this with our company, under no circumstance do we like to hear this kind of news. Upon further account evaluation, we are unable to offer you a refund at this time. Our decision is based on the fact that as a customer, you chose to contact your financial institution before contacting us to provide the refunds to your account. Since these charges were disputed, you will need to contact your bank so they can provide you with the proper resolution. Once your bank intervenes, it is no longer up to us, because the charges were already disputed. We hope that this information helps clear things up. If you need help in the future, please do not hesitate to contact us directly, as we'll be very happy to assist you personally with anything you need. We are sorry for the inconvenience this may have caused. Please feel free to contact us in case you have further questions. We strive to make all of our customers happy and we take every feedback to heart. In fact, we rely on it to continually improve our customer’s experience. Thank you for sharing your experience with our agent Jorge, we're happy to hear that he was able to help and guide you. If there’s ever anything that we can assist you with, please don’t hesitate to ask! I am a retiree living on a fixed income who clicked on the LiveCareer website. Not paying close attention to the auto renew terms for the 14-day trial period, I took advantage of certain services. When confronted by the renewal charge, I called the company and spoke with Lenny (Badge #418). He was super professional, credited back my full registration fee and proceeded to offer me access to the website for a modest continuing fee. I accepted but also acquired the cancellation date in the future to stop all future charges if I chose. All in all, the experience was highlighted by the knowledge and professionalism of Lenny. I would highly recommend this website for the job seeker. Excellent resume & letter templates. BUT BEWARE it will charge you to save/send any docs & automatically debits your account monthly unless you cancel within 14days which isn't as easy as it should be. The job search & other features are only useful if you live in the US. Thank you for taking the time to let us know your feedback, we’re always happy to hear it! We’re constantly looking to make our services better and listening to our customers is a big part of that. With that in mind, we’ve passed your comments to our team so we can keep improving. It was really good working with LiveCareer. They listen to our issues patiently and try to resolve them which gives us complete satisfaction. Thanks for sharing your experience! We're committed to providing excellent service and it’s amazing to hear we delivered our promise to you. If you need further help, let us know! I love the assistance with my cover letter but I couldn't justify the monthly fee. So I called & spoke to a rep who was beyond helpful with his suggestions and answers to questions about my resume & work history. He even offered to reduce the fee to an affordable amount. He was very patient and kind. I will always be thankful & grateful for his help with my job search approach. I had created my account only an hour back to get myself a resume print. I don't want this subscription and when i try to cancel my subscription online under the settings tab the website doesn't allow me to cancel. Error / warning i get is that there is more than one subscription on this account. I have dropped the customer support an email regarding this. Also my account was charged 4 times for the subscription as the first time when i tried making the payment i got http://502 bad gateway. I refreshed the page and payment was done multiple times. We apologize for any inconvenience that this may have caused you, under no circumstance do we like to hear this. However, we would love to take this opportunity to clarify some information regarding the error on the account. After verifying the account it seems that you contacted our Customer Service Department on November 23, 2018, requesting cancellation, as well as a refund, do to the error our system generated. Both requests have been successfully processed as requested. We hope that this information helps clear things up and again we apologize for this issue. If you need help in the future, please do not hesitate to contact us directly, as we'll be very happy to assist you personally with anything you need. I couldn't login is correctly and I didn't see my resume. I asked a million questions and she was so respectful and patient with me. Our apologies for this inconvenience, we're happy to hear that our agent was able to resolve this issue in a patient and respectful matter. If you need help in the future, please do not hesitate to contact us directly, as we'll be very happy to assist you personally with anything you need. I had no idea on how to write my resume in English at first place. However, thanks to this LiveCareer I had no problem in generating my resume in a couple of hours. Besides, first I made a mistake of paying higher rate plan than I originally planned. There was this chatting facility that resolved my concern. She/he accepted my requested and changed my payment plan to a cheaper one which I wanted to purchase. Thank you very much, I hope you prosper. You're very welcome and thank you for taking the time to review us! We’re proud to know that our agents were able to offer you a better pricing option and that you were pleased with our services. If you need anything in the future, please get in touch at any time. We’re thrilled to hear that Miss Grijalba was quick, kind, helpful and provide you with excellent service. We’ll be sure to let her know your positive thoughts. You're very welcome and thank you for sharing your experience with us! It's great to hear that we were able to help you solve this issue in a professional way. If there’s anything else we can do, don’t hesitate to get in touch with us. I used this service for a class in school which required me to update my resume. The experience couldn't have been better. My resume turned out great and when I called to cancel my subscription, Lennin was extremely professional and helpful. I would definitely recommend this service to my family, friends and colleagues. We hope it makes all the difference in helping you get the job you desire and thank you for trusting us with your resume, it’s great to hear that you’re pleased with your resume. Ronney was very helpful and professional in spite of my rude opening statement. Well done. He explained how the system works and why I was charged for a premium membership. I only needed a copy and he took care of the charges for me. We’re thrilled to hear that Ronney was able to assist you with your request and provide you with excellent service. We’ll be sure to let him know your possitive comments. I was highly impressed with the customer service team. They were extremely helpful with any questions/issues, and were extremely courteous and knowledgeable. Great customer service. They really went above and beyond. Very quick to resolve the issue and very courteous. I am considering switching either jobs or careers. LiveCareer has everything necessary for the job-seeker. It's been a few years since I needed to look for a job, but their customer support counselors are helpful, patient, and kind. Josue was very polite and quick in responding. Best thing was that he also gave me a compliment offer to continue my subscription. But sadly i do not use this website that much for a monthly subscription. Reviews like this really make our day. we’re thrilled to hear that Josue was able to assist you with your request and provide you with excellent service. We’ll be sure to let him know your comments. I have started a resume on this site, and now I hear its not free? and there are hidden charges is this true? Is the price $1.95 Canadian dollars? How much is this service?? This is what the site advertised: For 14 day access, $14.95, and for a year $39.80. However, signing up for ANY service aloows the site to store your payment information for further billing, and getting in touch with them, much less obtaining help is nigh impossible. After two weeks they will pull $39.80 MONTHLY from your payment method (please see my review and others on Google and yelp for further verification of this). I had to cancel my Debit Card account with Bank of America, because the Bank refused to block LiveCareer from my account. I wonder if they are in cahoots or what??? I believe a class action suit may be required so we can get our funds back. Dont waste your time trying to contact them. I went to my bank and had all future billing refused AND I went to the State Attorney General and reported them. I want to stop payments for this service, I do not use it. Please get back to me asap. Thank you. I used LiveCareer for a template one time for five minumtes, and I've seen $39.80 on my credit card bill for the second month in a row. How do I get this reimbursed as I am not paying it. Thank you. I tried phoning Anna and I live in new Zealand. No luck. I've also emailed a lot. Our only way out was to cancel my card and my husbands. They won't refund any of it. We have lost nearly $200 in two months. Good luck. I hope you can get something out of them. I paid about $2 for a one time thing. Then I see a random charge of over $40 on my bank statement. I have called and have yet to get an answer and have sent two emails with no reply. I have not cancelled my account because I have read where other in this situation cancelled and asked for their money back and the company refuses because of the cancellation or they claim that they do not see the cancellation. As a college student, I cannot afford for that much money to be withdrawn from my account like this ever month. I'm barely scraping by as it is. This is very frustrating. Can SOMEONE help me and the others of us who have fallen victim to this company's scheme? We apologize for any inconveniences you may have experience while using the service. We are committed to provide great customer service so we can definitely verify your account and provide you with further assistance. May you please contact us via our support email customerservice@livecareer.com so we can assist you in resolving all the concerns that you may have on your account. I have recently retired and want to find work part time. All I need is to set up a resume. I am happy to pay the 14 day fee, but I do not want and cannot afford to pay monthly fees. I would like to go ahead with the 14 day trial, however, after reading reviews I am concerned to have problems and irraitation after I print my resume. Have these issues been corrected? Can I pay the printing fee and cancel immediatly? It was a great resume....but I agree w/ other posts....MAKE SURE YOU CANCEL!!!! Questions? Get answers from the LiveCareer staff and other customers.